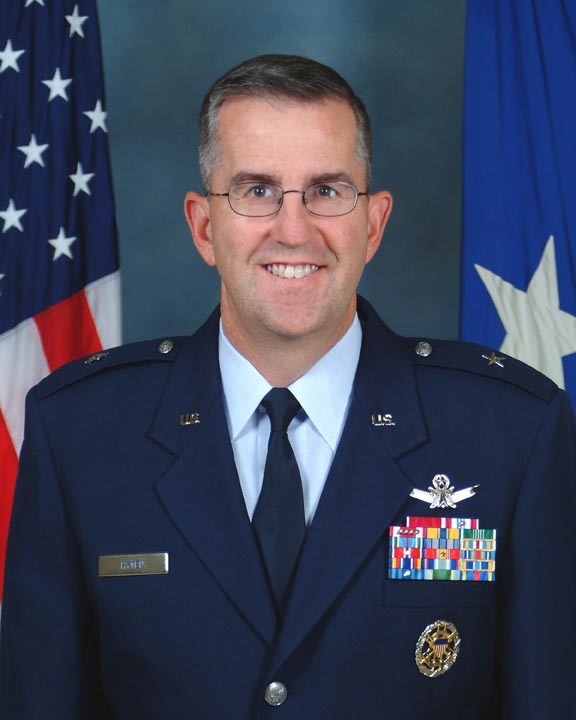 As the new commander of Air Force Space Command (AFSPC) Gen. John E. Hyten is responsible for all the service’s space programs including the Global Positioning System. Hyten is no newcomer to GPS. He got hands-on experience during 2006 as commander of the 50th Space Wing, which supports GPS, and was the director of space programs in the Office of the Assistant Secretary of the Air Force for Acquisition from 2010 to 2012. He served as served as vice commander of Space Command from May 2012 through August 15 of this year when he took over from Gen. William L. Shelton. 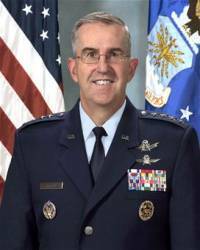 Gen. Hyten took time from his first month in his new job to share his perspective with the GPS community. Here are his written answers to questions submitted by Inside GNSS with some added background in italics for context and clarifying notes in brackets where needed. Inside GNSS: What are your top three priorities as you take the helm at Space Command? How are those priorities different from those say three to five years ago? Gen. Hyten: My priorities are to Win Today’s Fight, to Prepare for Tomorrow’s Fight, and to Take Care of our Airmen and Families. AFSPC’s mission is to provide resilient and affordable space and cyberspace capabilities for the Joint Force and the Nation. That hasn’t changed. Over the past several years what has changed is the fiscal environment; budgets are tighter and we have had to learn to work within that constraint. We also have a sacred responsibility to deliver space effects to Soldiers, Sailors, Marines and Airmen wherever they are, all the time. Not only that, services like GPS are critically important to people the world over, we must always deliver on that too. Looking a few years ahead, we will enter a time in space operations in which the United States may have to defend our space capabilities from an increasingly debris cluttered environment and a field of potential adversaries that would seek to deny the Nation and the Joint Force access to the capabilities we provide. The systems we have on orbit today weren’t designed for that; so, we have to think differently about our satellites, the systems that support them, and especially Space Situational Awareness. Inside GNSS: Over the last several years the civil GPS community has been unable to contribute to GPS modernization in the amounts planned when the arrangement was first devised. How do you see the GPS program addressing the issues created by the shortfalls? Background: With an eye toward giving the civil community both greater leverage and more of a stake in decisions affecting the GPS system, the White House decided a number of years ago that non-military users should contribute to the funding of the program. Though budget requests were made for the Federal Aviation Administration, which was to be the financial conduit for the civil contribution, Congress has slashed the requested allocations repeatedly, leaving the GPS program short on its original $235 million commitment by what Inside GNSS estimates to be $55 million to $100 million. The Air Force has made up some of that shortfall in the past to keep the program on track. Sources have told Inside GNSS previously that, given the current budget climate, the service may not be able to do that again. 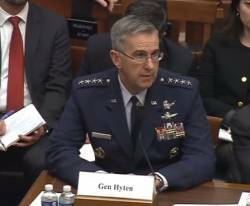 Gen. Hyten: Unfortunately, our civil partners have faced the same fiscal scrutiny that we in the military have had to contend with over the past several fiscal years. The result has been a delay in the amount of money the civil community is paying for their share of modernized GPS civil services. The GPS Enterprise impacts result in delays to the Next Generation Operational Control System (OCX) program. This can be avoided if the DOD funds civil funding shortfalls in order to keep the program on its revised schedule. OCX provides civil message generation for legacy signals (C/A, L1, L2C, L5C) and introduces message capability for L1C. OCX also monitors all signals generated by the GPS constellation. Inside GNSS: The number of companies able to provide key services to Space Command has narrowed as have the overall capabilities of the U.S. industrial base. Moreover, as technical experts age and younger engineers and managers are snapped up by other industries, the space community in general and the GPS community in particular, may face shortages of experienced problem solvers. What can Space Command do to keep its contracting options open and the pool of human talent it needs both deep and vibrant? Gen. Hyten: The narrowing of the industrial base and an aging workforce are issues SMC must wrestle with. The Air Force has embraced setting aside more contracts for small business, but those practices have created some instability for promising engineers, technical managers, and functional experts. Larger businesses with multiple programs have enough aggregate demand to justify very highly skilled, specialized subject matter experts, which a company dedicated to a single program often cannot, particularly when we chose to fund them only one option year at a time. To overcome such issues, we must make smart contracting source decisions and seek stable, albeit reduced, budgets. To recruit talent into the workforce, SMC engages at the college level through the Air Force Pathways and DoD SMART (Science, Math & Research for Transformation) programs. Recent college graduates and stay-in-school interns join the Air Force civilian corps, bringing fresh ideas and the latest in academic thought. SMC also recruits talented career engineers from across the country from both inside and outside the government. In the last year, SMC has brought in nine engineers from outside the Center and has eight more offers pending now. SMC realizes our next generation of space engineers is growing up outside our gates here in Los Angeles. Our engineers voluntarily staff several activities each month in the local community to encourage students to study science, technology, engineering and mathematics (STEM) and share with them the exciting opportunities in the Air Force. This past spring, SMC funded a STEM project with four local high schools, mentoring them to each build and launch a working photo-reconnaissance "payload." One approach to address the importance of a strong industrial base for space is the implementation of the Department’s Better Buying Power Initiatives, which promote effective competition while incentivizing productivity and innovation. SMC is continuously looking for opportunities to invest in alternate sources for capabilities, and leveraging the benefits of competition to drive efficient and innovative approaches to reduce costs over the lifecycle of a program. Three recent examples are the approaches we took and are taking on the FAB-T Program, the New Entrant Launch Initiative, and the follow-on production for GPS-III. Inside GNSS: Sequestration and the overall push within the Pentagon to reduce costs, including decisions to reduce staff, creates pressure on the talented military and contract personnel needed to manage programs and execute plans. How do you see Space Command dealing with the human side of the budget squeeze? Gen. Hyten: The Department of Defense and the Air Force continue to work in a very difficult fiscal environment. In July, the Air Force announced significant changes to Headquarters staff manning. This requires a 20% cut in cost and staff levels — a reduction that includes both civilian and military positions. Our civilian personnel sections are working diligently to place impacted employees and are using every tool available. Four rounds of Voluntary Early Retirement Authority and Voluntary Separation Incentives have been offered to civilian employees to assist with placement of employees who were displaced by the reduction in positions. Military members whose positions are cut will remain in place for the remainder of their tours, but when they PCS [receive permanent change of station orders] there will be no replacements, and those positions will be removed from the manning document. Some of those positions will transfer to other units as appropriate. We have worked to keep all of our employees informed as new information on the reductions becomes available, and to mitigate impacts on our people. The reductions are forcing some tough decisions Air Force wide to preserve as much mission capability as possible; and all major commands, including Air Force Space Command, are looking at what tasks should be eliminated or streamlined to accommodate the lower manning levels. The command has already absorbed a tremendous reduction in funding for contractor support, and we do not expect that funding to rebound in the near term. Inside GNSS: The possible reopening of the GPS III contract this fall is an opportunity to not only tweak the GPS program but to make significant changes. Can you describe three or four challenges you hope to address as you weigh the options? Background: In June Air Force Space Command released a “sources sought” announcement, looking for firms able to produce up to 22 GPS III spacecraft. The effort is aimed at determining if there are suppliers able to replace Lockheed Martin, the current GPS III prime contractor, and Exelis, the subcontractor responsible for the navigation payload. That payload, and consequently the GPS III satellites themselves, has been significantly delayed. Inside GNSS has since reported that the Air Force is very interested in using this opportunity to shift to a digital navigation payload, which offers greater capability and potential cost savings. If military managers decide to seek new contractors, up to two Phase 1 contacts could be awarded in fiscal year 2015 followed by a final contest between Lockheed Martin and the selected contractor or contractors for up to 22 GPS III production spacecraft. An award for those satellites is anticipated in the FY17/18 timeframe to support completion of the first space vehicle by the first quarter of FY23. Gen. Hyten: Nothing is ever official until our acquisition arm at Space and Missile Systems Center (SMC) garners Milestone Decision Authority approval, but SMC is conducting market research to see if competition is viable starting at Space Vehicle 11. SMC released the Sources Sought on June 4 in order to inform the GPS III SV 11+ acquisition strategy and determine whether viable alternate sources exist to produce GPS III space vehicles. By reopening competition for the GPS III contract we hope to explore alternate navigation payload providers and investigate more efficient bus designs that leverage new materials and technologies. A further benefit to injecting competition is the expansion in the industrial base, which will lead to increased product quality, while decreasing overall cost.